Harrier G9 pilot's view of an approach and landing on HMS Ark Royal's flight deck. Filmed by Martin Pert of 1(F) Squadron, Royal Air Force. Ark Royal's deployment to the Western Atlantic during the summer of 2010 as seen by 1(F) Squadron, Royal Air Force. A British Forces News report covering Her Majesty The Queen's farewell visit to the Ark. 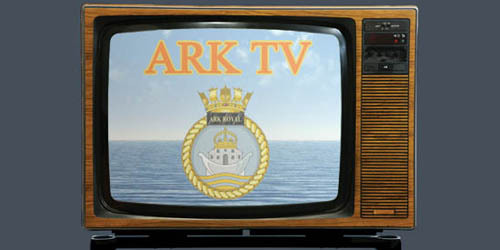 A TwoSix TV report on Ark's 25 years of service. CPO Martin White does a dash around 5 Deck to say goodbye to Ark Royal on her final day at sea.